to do their best work. so your employees can perform at their best. Apple products are built for the way modern businesses work. They offer employees powerful solutions. And they are secure, easy to deploy and support, and compatible with enterprise systems and apps. Apple products are designed to help all of your employees do their best work, across every department, and every field. With intuitive design and the broadest ecosystem of apps, Apple products are built for work for every type of employee. Learn more about how Apple products are built to empower and support every employee in your company. Apple products are compatible with the applications you already use, like Google G Suite and Microsoft Office, so employees can transition seamlessly and work with what they're used to. Apple has the most apps on any mobile platform, to serve all of your business needs, from productivity, business intelligence, invoicing and expenses, to content creation and collaboration. Modify existing apps to suit your needs or build custom apps tailored to your business, and integrate them with back-end systems. Learn how Apple products are compatible with your business. Apple products are secure by design right out of the box, with advanced features that protect the entire system, from device and app security to data protection. With industry-standard networking protocols, frequent software updates and remote device management, you can feel confident in having Apple products in your organization. Get a more comprehensive look at all the ways Apple products stay secure. The Apple Business Manager makes Apple products easy to deploy and manage at scale, with zero-touch deployment and mobile device management integration. And Apple experts are available to offer ongoing support to your IT department. Explore white papers on how Apple helps you automate and simplify rolling out Apple products in your company. Mac and iPad are built to last. They typically have the highest residual value of any products on the market, making them cost-effective solutions for your company. And flexible financial models, like leasing and buyback programs, reduce the overall cost of ownership. Learn why Apple products are a smart investment. It’s important to let your employees work the way they want so they can do their best work. Apple Employee Choice is a new way to get them access to the Apple products they love with easy procurement, setup, and deployment. By giving employees the ability to choose, businesses can strengthen employee engagement and retention. See how CDW can help bring Apple Employee Choice to your office. CDW has the expertise and resources to help you bring Apple products to your company. We can help you understand how to set up your Apple devices, with tools that automate, simplify and streamline the process. Our dedicated Apple team has the expertise to help you with your Apple solutions. 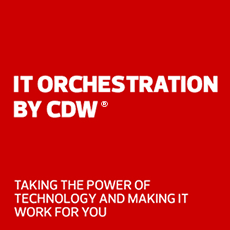 CDW is your single point of contact that can help you assess, design and deploy your Apple products.